Here are a few pictures of Steelers Country in the fall. 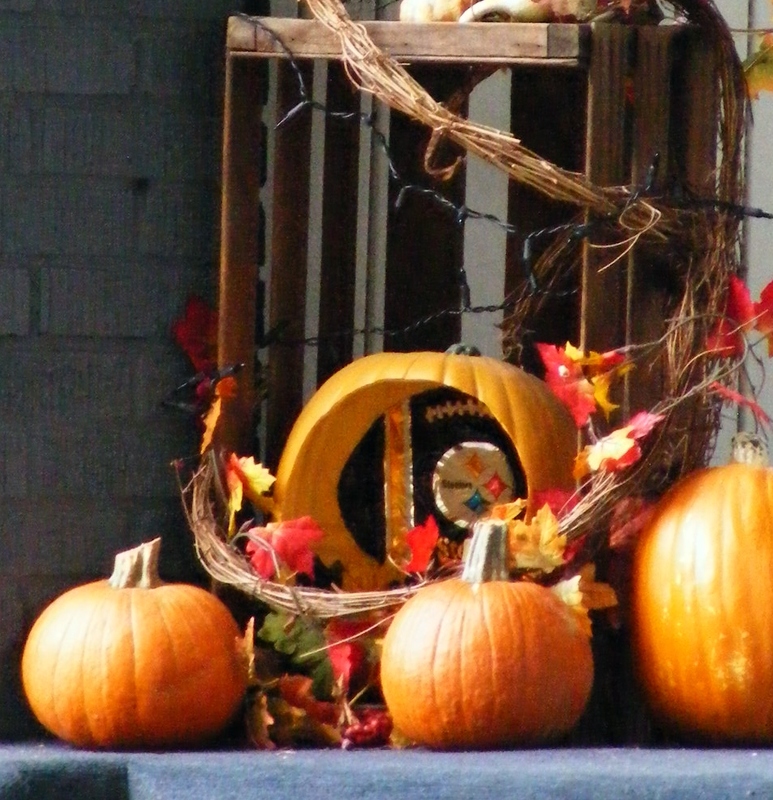 During my walks I have seen a number of Steelers Pumpkins. 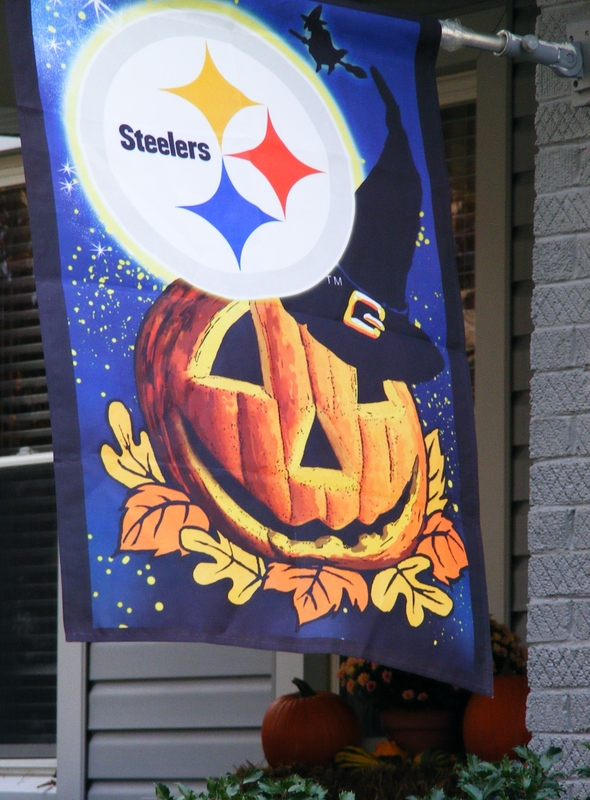 A Steelers pumpkin flag waves proudly from a porch. Perhaps you like the Steelers vignette better. Or are interested in painted pumpkins with individual players numbers. Do you have a team celebrated in your area? 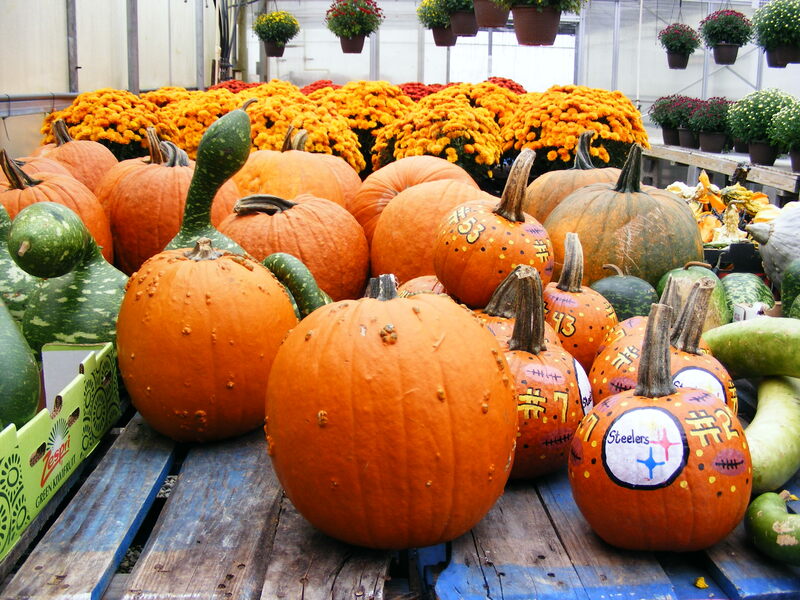 This entry was posted in photography, pumpkins and tagged pumpkins, Steelers. Bookmark the permalink.